Andorra’s consumer market is small with only 75.000 inhabitants, however its tax advantages and strategic location offers opportunities for global trading with Andorra as intermediary. The concept of invoice based triangular trade transactions is particularily attractive which we explain further below. The tax rate for trading companies is very low in Andorra, however they have to be able to qualify for certain criteria and need the appropriate authorization with may require a couple of months. We recommend professional advise to present your request to the Andorran government. Andorran trading companies pay an effective 2% tax rate if they are qualifying for this special regime. The trading company buys the goods from the producing company and then resells it, but the goods are delivered directly to the client company. – There must be a 20 sqm office space dedicated exclusively to the activity and also a part-time employee on your payroll (other than the investor/company director). 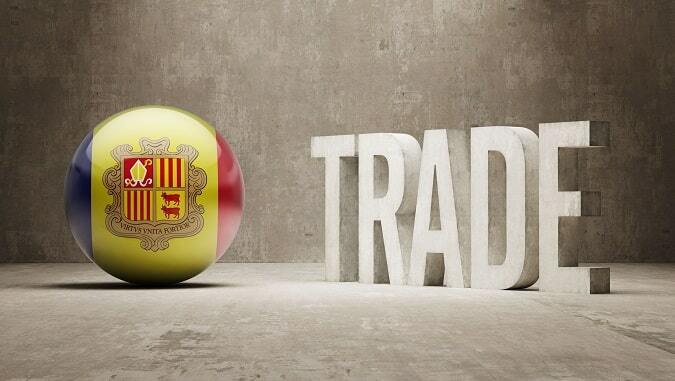 – The goods must go directly from the producer to the customer, without passing through Andorran customs. – If the company wants to trade with an EU member (either buy or sell), the collaboration of an EU tax representative is required. We are specialists for this type of trading model and maintain also relationships with various firms in the EU providing assistance as tax representative in the EU for VAT identification purposes. Invoice based triangular trade through Andorra may transform your business profits to new heights and open opportunities across Europe. AndorraConsultants – we help companies expand their international reach and profit base by using internal resources and Andorra’s advantageous jurisdiction. Maybe you need help with the search for international trading partners. We have in-house and external resources to assist you with establishing contacts in the following countries: China, Russia, Germany, United States, Spain and France. If you plan to produce your product overseas and then export through a local distributor or the producer directly it will be important to protect your industrial patent or rights. We have a strong background in international patent law and may further consult you on the proper steps. Contact us for further information concerning financing instruments and the logistics involved in your trade business.